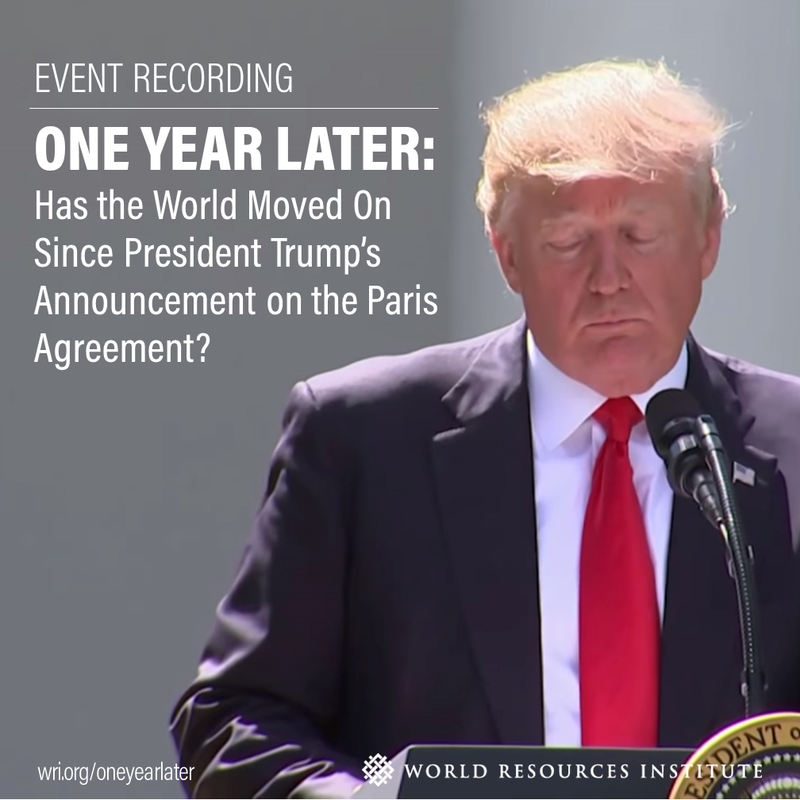 Home > What We Do > Topics > One Year Later: Has the World Moved On Since President Trump’s Announcement on the Paris Agreement? 2:30 PM - 4:00 PM EDTWashington, D.C.
One year ago, President Trump announced his intent to withdraw the United States from the landmark Paris Agreement on climate change, adopted by 195 countries in 2015. 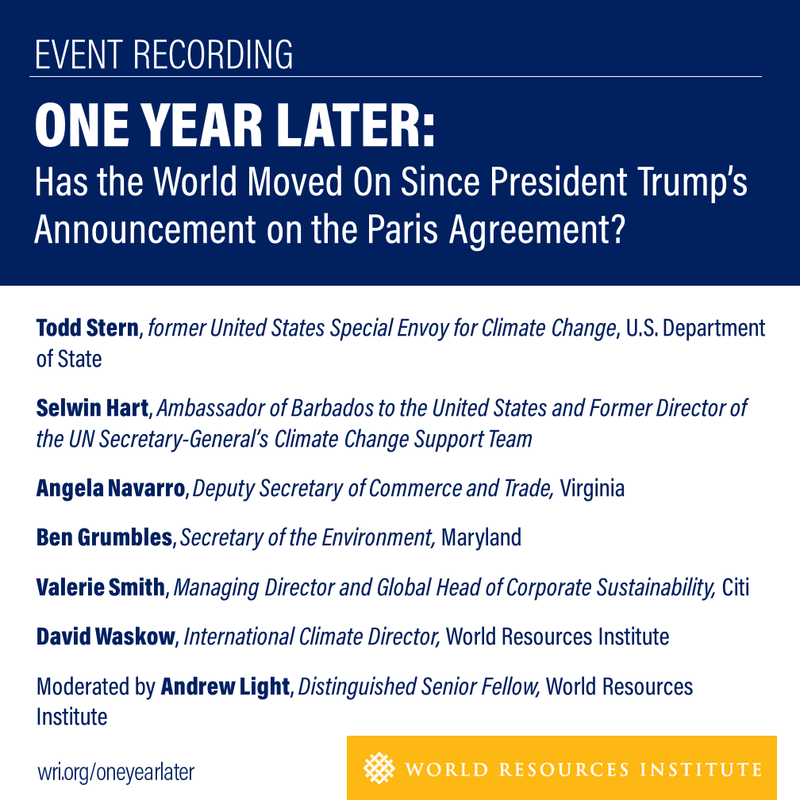 On Wednesday, May 30, in Washington, D.C., the World Resources Institute (WRI) hosted an event to reflect on the state of climate action in the United States and internationally. The discussion featured remarks by Todd Stern, former U.S. Special Envoy for Climate Change at the U.S. Department of State, and included leaders in finance, government and international relations. This event was time to look at what has happened on climate action since the announcement -- both where has there been progress and what more needs to be done at the local, national and international levels. The event was open to the public and members of the media.